Peer feedback and social recognition are continuing to emerge as critical elements in the new wave of performance management redesign. For many companies who have been challenging the “old way” of doing things, introducing peer feedback and social recognition is a key component to driving higher engagement and performance. As someone, who deeply believes that strong cultures and great business results come from organizations who embrace transparency, I can’t be more pleased to see these aspects of performance management taking on a more prominent role. 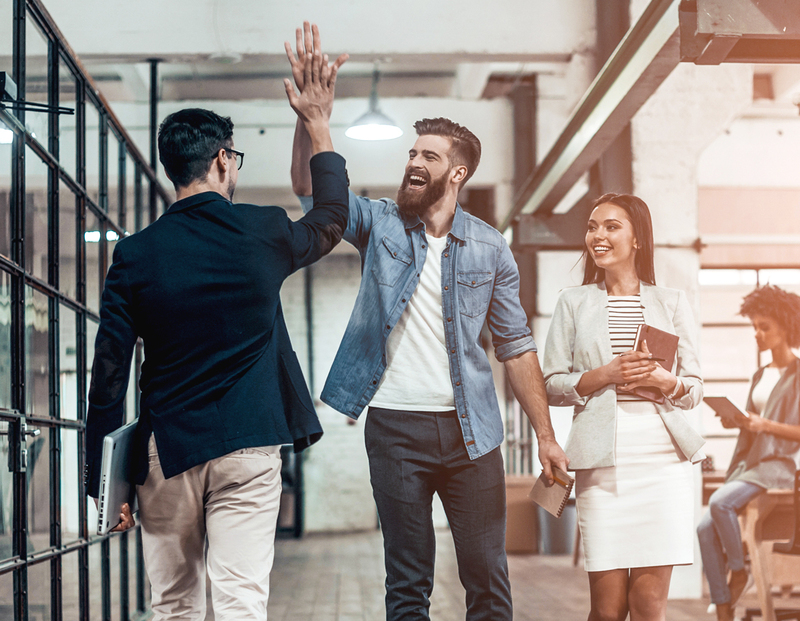 A joint study conducted by SHRM and recognition provider Globoforce found a 32% increase in productivity for companies that practice what they call peer-to-peer strategic recognition. supporting pre-configured feedback statements that make it a snap to deliver feedback from any mobile device on the go. Additionally, recognition vendors like Globoforce are creating very interesting integrations with talent management systems. They allow peers to award points and recognition awards to their fellow co-workers and have married gamification with social recognition and feedback. Some organizations have elected to allow employees to donate their collected points and convert them into monetary donations to charities. This fulfills an important part of the social contract that more employees, particularly millennials, are interested in. The democratization of feedback and social recognition is a very powerful tool in your arsenal to help support a performance culture and promote organizational values. Elements like these help to drive employee engagement through the performance management process. Additionally, they provide alignment to help support an organization’s goal to be viewed as socially responsible and altruistic. However, there are a few things to address prior to putting the big smiley emoji on this trend. Additionally, there are some cautions and pre conditions prior to going down this path. Peers who do not seem to value the benefit of feedback and peer recognition. Of course, you can introduce these aspects of your performance culture process without the greatest readiness by the organization, but don’t get fooled that these features alone will turn the tide. Rather, look to see where these features can be introduced and may have a chance for success. Afterwards, measure the outcomes from the test or pilot group to those of the remainder of the organization. This approach may give you the support and tailwind you need to move forward. Second, think about investments in employee and manager education. The organization will need to ensure best practices in giving and receiving feedback. As part of your implementation plan, consider learning and development interventions to help prepare for a successful adoption of these features. Third, governance for the content of the feedback or recognition may need to be provided for a while until you can be sure that feedback is provided within the boundary lines of acceptable and compliant behavior. Don’t underestimate the possibility of inappropriate feedback and the damage it can do to the organization. Last, consider additional factors such as cultural diversity before implementing. As you are probably aware, some cultural social norms and behaviors may actually view peer feedback and social recognition as culturally awkward and may lead to unintended consequences. Don’t let these risks hold you back…but do be careful and ensure your workforce is ready for this level of transparency. The potential to influence corporate culture and drive performance through employee engagement using social recognition and peer feedback is astounding. I invite you to share your thoughts and experiences as we explore topics for driving a culture of high performance and engagement! Glen Kallas is the Managing Partner of Camden Delta and Senior Faculty Member with the Human Capital Institute (HCI). Camden Delta is a leading human capital management consulting firm specializing in workforce planning, talent acquisition and management effectiveness, leadership development and organizational change management. Camden Delta collaborates with clients and equips them to find better ways to facilitate effective organizational change. Reach Glen by email at [email protected] and follow him on Twitter @glen_kallas or call 404-460-8200.